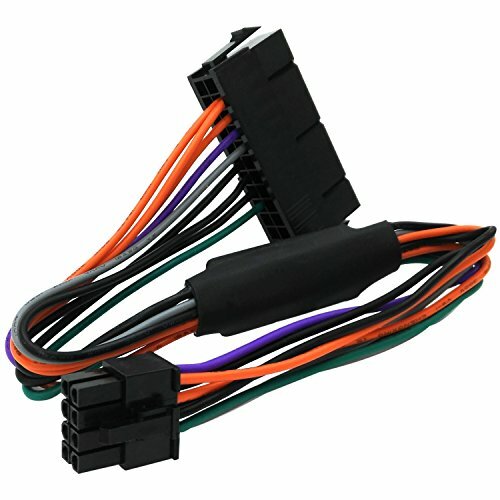 The COReap 24 Pin to 8 Pin ATX power cable is to to convert standard 24 pin ATX power supply to 8 pin DELL motherboard power supply. It offers a cost-effective solution for replacing the factory power supplies in DELL motherboards. Note: Do not exceed the maximum power(1000w)when to use the ATX cable. If you have any questions about this product by COMeap, contact us by completing and submitting the form below. If you are looking for a specif part number, please include it with your message.